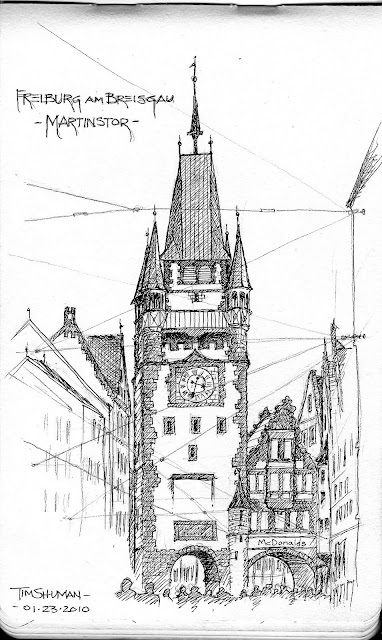 Drew this sketch yesterday in Freiburg, Germany. It's fun to draw on the street. It's so interesting to observe individuals trying to sneak a peek at what I'm doing. I love this tower "Martinstor", but I don't like the McDonalds to the right of its base. Still it's a very beautiful piece of architecture. I loved including all of the overhead cables in this sketch. It acts as a kinds of ceiling.